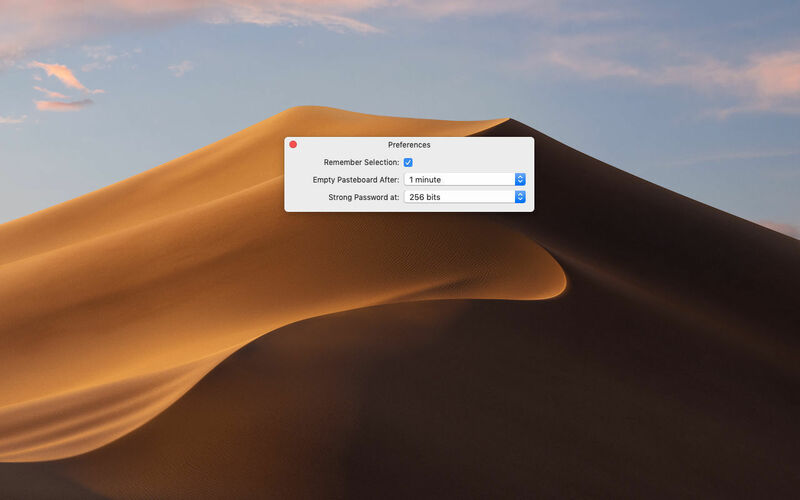 Is there a better alternative to StrongPassword? Is StrongPassword really the best app in Security category? 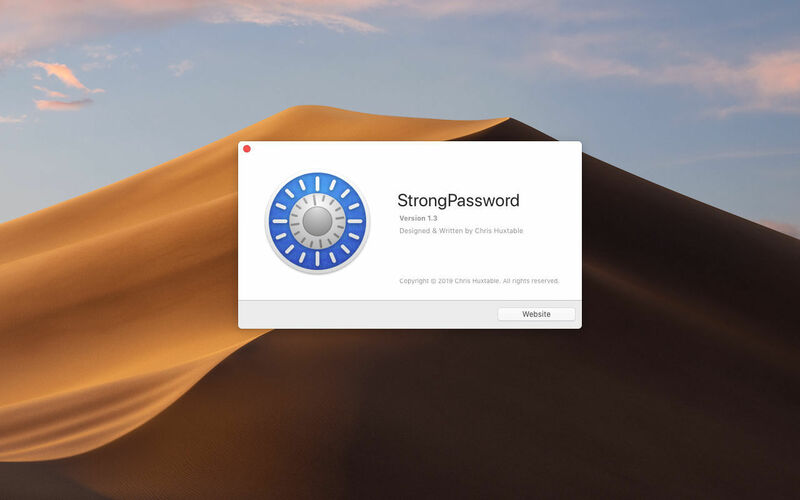 Will StrongPassword work good on macOS 10.13.4? 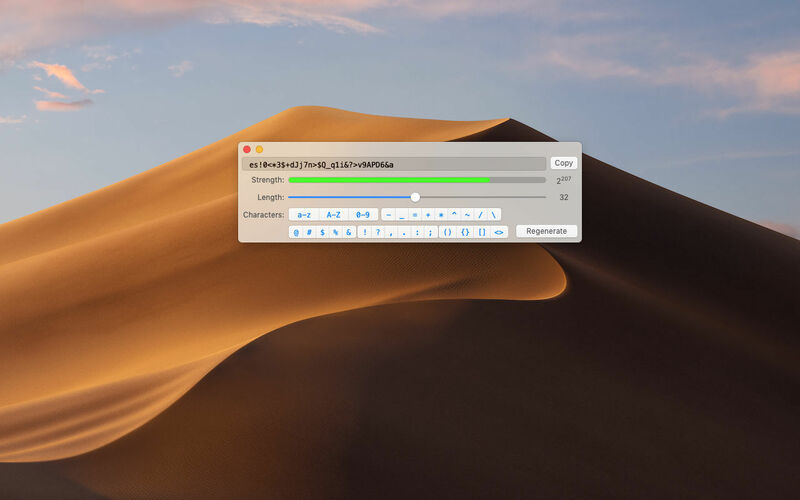 StrongPassword is a simple utility that quickly and easily generates random passwords. Passwords can be generated to a specific length and character set to maximize the quality of the password. The strength indicator provides an easy to interpret gauge for the quality of the current generated password. 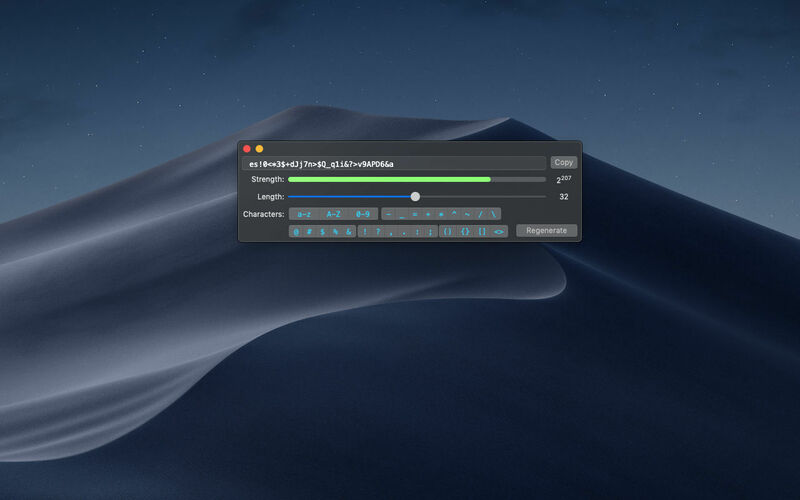 The copy button makes it easy to enter the generated password into a textfield or password manager, and securely empties the pasteboard after 60 seconds to prevent the password from being available for too long. 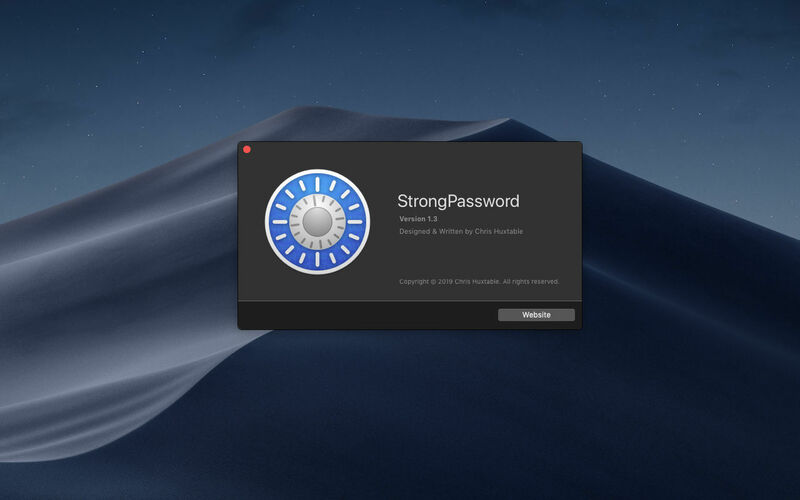 StrongPassword needs a review. Be the first to review this app and get the discussion started! StrongPassword needs a rating. Be the first to rate this app and get the discussion started!